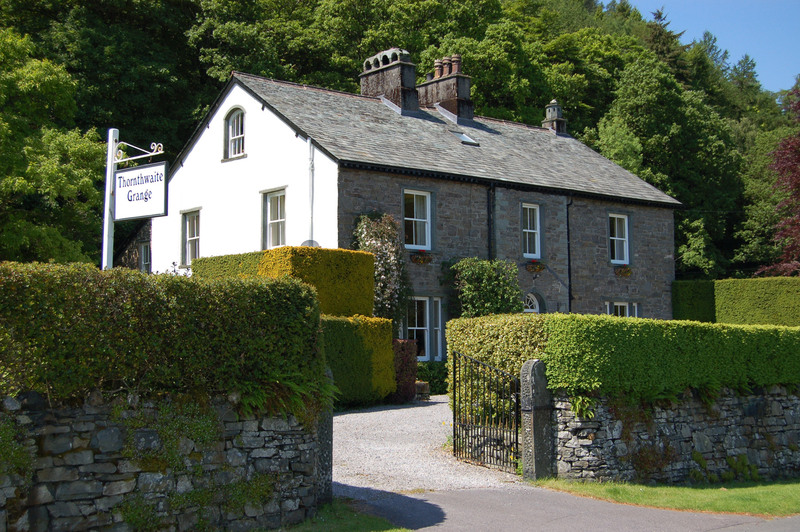 Close to the bustling market town of Keswick, Thornthwaite Grange guest house provides a relaxed, informal base for your holiday in the Northern Lake District. We offer bed & breakfast accommodation in an historic country house close to Whinlatter Forest and with stunning views of Skiddaw. Our spacious and light bedrooms have luxurious en-suite bath or shower rooms. We offer a delicious breakfast menu of traditional favourites made with locally sourced produce. Our guests are invited to make full use of our beautiful garden. For the energetic, we can help plan your fell walks, mountain biking and kayaking trips. Bird watching	sites, including the ospreys at Bassenthwaite, are also close by. Thornthwaite is a quiet and peaceful village, but just one mile from the A66 so very accessible, and we have ample space for parking. The town of Keswick is just a few minutes away, for a great selection of pubs and restaurants, and the renowned Theatre by the Lake..